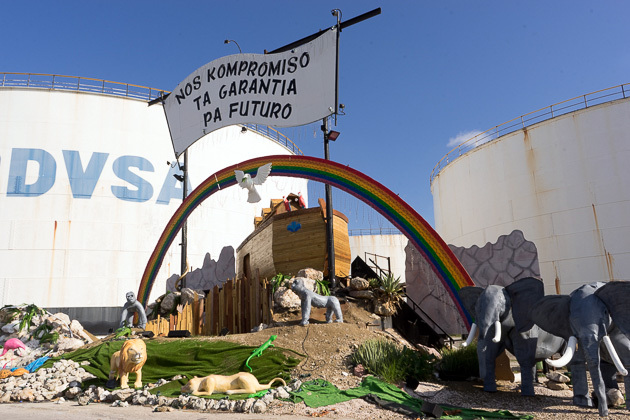 The pollution by the Isla refinery on Curaçao has been a problem for many years. 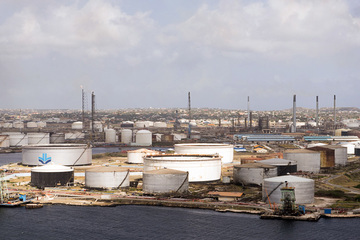 Curaçaoans living downwind of the refinery experience many health issues on account of its toxic emissions. Curaçao is a Caribbean island, it is located about 65 km north of the Venezuelan coast in South America, it is an ex colony of the Kingdom of the Netherlands until it became independent (within the Kingdom) in 2010. The island is worldwide recognized for been one of the main hotspots for tourism (beautiful landscapes, beaches and other tourism amenities). However, and according with Pulster (2015) the island rank in the top 10 environmental polluted sites due to the emissions of the hundred years old oil-refinery: the Isla. In the early 20th century, oil was discovered off the coast of Venezuela. And Curaçao was the perfect location for Royal Dutch Shell (Dutch company) to capitalize on the “new black gold”. In 1915, Shell established the “Isla” refinery. From 1915 to 1985, the Dutch company Shell ran the refinery. For decades, the company was the largest employer. The number of jobs at the refinery topped 10,000 during 1950s and 1960s. In 1985, for the symbolic sum of a single guilder, the Dutch multinational transferred ownership to the island’s government. Local people affirm that Shell decided to sell the project as they perceived that in the future they will have to face complains for local health and environmental damages related to the refinery. Dwellers affirm that up to now, the refinery is an “ecological nightmare”. It’s been cranking out poison for decades. 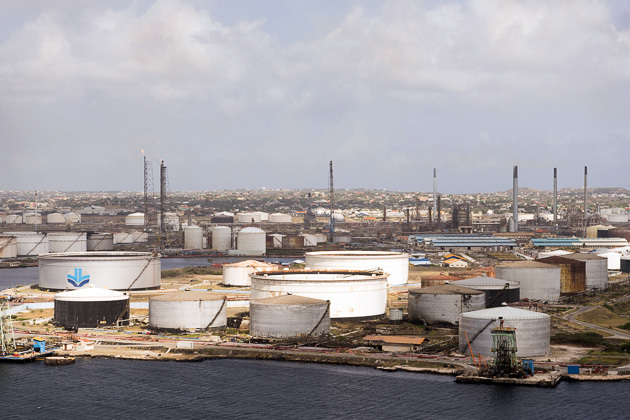 As an example of this, there is the “Asphalt Lake” (52 ha hardly polluted): “During World War II, the Shell refinery on Curacao produced a substantial quantity of fuel for the Allied forces. At that time the market demand for light oil products was higher than for heavy oil products, causing an overproduction of asphalt. Since the asphalt was of no use at the moment, it was pumped close to the refinery. This spot was later called “asphalt lake”. It is estimated that 1.5 million ton was dumped in the lake during the war” in sum a chemical waste lake at the same location of the asphalt lake, is another heritage from Shell. Useless- residues, in particular those of lubricating oil refining processes, were dumped. Asphalt is also found at this lake because since 1942 Shell also used it as a dump for asphalt. Project Details -There is apparently 2 million tonnes of toxic material (asbestos, heavy metals etc) in a lake of asphalt within an area of 52 hectares. -The health of thousands of people living downwind of the refinery has been threatened through substantial emissions of sulfur dioxide and particulate matter. Empty barrels were filled with toxic residues and dumped into the sea. -Shell remained on the island for decades and became a major employer, especially in the 1950s and 1960s when the number of jobs at the refinery topped 10,000. -Prices at the pumps on the island are approximately $1.30 (£0.80) per litre, about 25 times higher than in Venezuela where petrol is heavily subsidised. -Currently, the refinery produces 340,000 barrels of oil a day for shipment onwards to the US and South America. Relevant government actors The kingdom of the Netherlands, Government of Curacao; Minister of Health and Environment; Coordination Center Expertise Working Conditions and Health (CEAG). Other Specific impacts to the sea and marine ecosystems. Other Every year at least eighteen people die from the pollution. Why? Explain briefly. Shell Company has not take responsibility of their environmental and health damages in Curaçao. This is a typical case of toxic imperialism. Currently, 18 people died due to the toxic pollution every year, they have not received any compensation and despite this, the project is ongoing. SMOC: "Close down Isla-refinery until they comply with permit"
Other Comments "The air is contaminated and there's a terrible smell of sulphur," says Edgar Leito who set up a campaign group to protest against the continued use of the refinery.